Originally a photographer, George Bamford parlayed his eye for detail to design shortly after he graduated from Parsons. 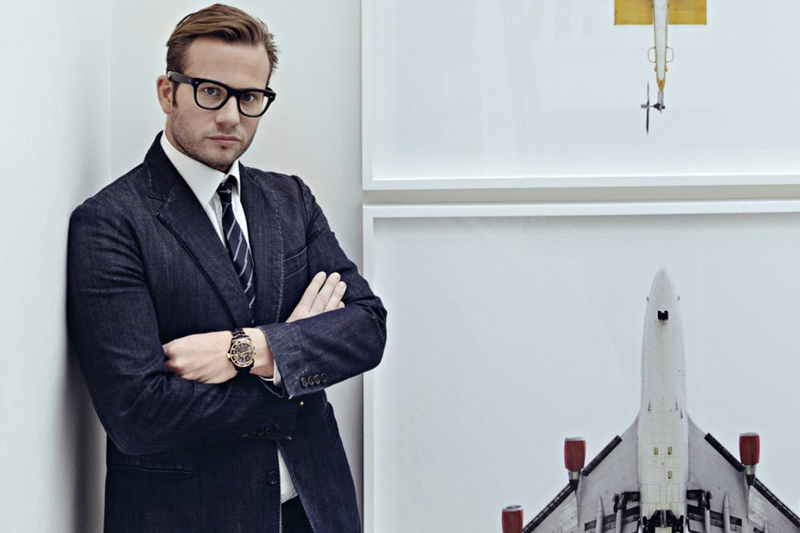 Founding Bamford Watch Department in 2003, the bespoke watch imprint now spearheads its category, creating unique renditions of luxury timepieces such as the Rolex Daytona for a loyal clientele. The brand is also consistent with its collaborations, having worked with the likes of NEIGHBORHOOD, mastermind JAPAN, fragment design and Dover Street Market. Continuing his stream of projects with retail and streetwear giants, 2015 saw Bamford team up with Daniel Arsham, Dr. Romanelli and Star Wars, in addition to extending to his foray further into the lifestyle sector by launching Bamford Grooming Department. A creative maverick in the often austere industry of watches, Bamford will no doubt keep us on our toes in 2016 with more compelling reworks. Daniel Arsham x Bamford Watch Department Rolex Milgauss "The Black Moon"